The Games for Entertainment and Learning (GEL) Lab’s award-winning game, Plunder Panic, just leveled up. Chosen among hundreds of submissions, Plunder Panic has advanced alongside eight other games to compete in the SXSW Gaming Pitch Competition for the chance to win “Best Pitch” at this famous gaming award show. From March 15-17, the SXSW Gaming Expo will take place in Austin, Texas and will feature exhibitions, showcases, tournaments and a variety of special event activities. GEL Lab director and co-lead designer Brian Winn, co-lead designer and producer William Jeffery, and development team members Alex Klingel and Darlene Sobus will be representing Plunder Panic at this event. “It’s a big deal that a panel of judges looked at this game and said there’s something here,” said Jeffery. 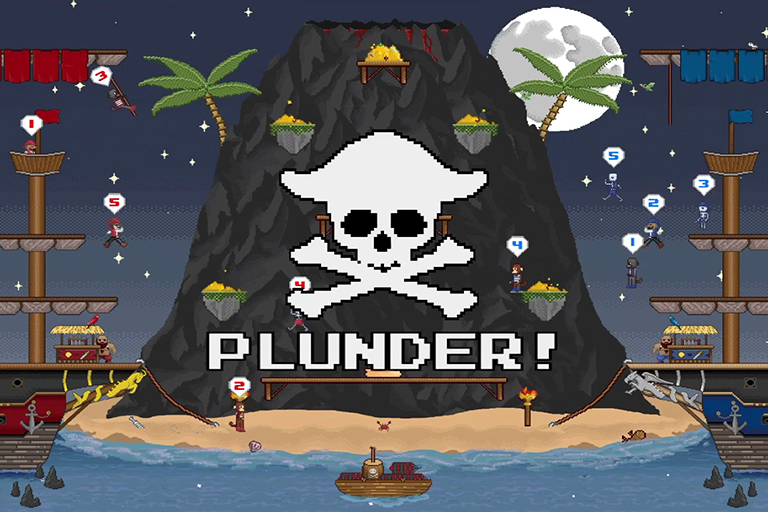 Plunder Panic isn’t your usual video game. Playing up the nostalgia factor, this 12-person multiplayer arcade game allows players to compete for supremacy on the high seas. Although they had a small budget and a major time crunch, the game debuted at the Traverse City Film Festival in July and in October won the Audience Choice Award at IndieCade, the world's largest festival of independent games. An award that helped bring Plunder Panic into the national spotlight. “They give us a window of mentorship with studios and professionals in the industry to see if there are some next steps for the game and if they think there’s a good market for it,” said Jeffery. Although the game has had major success, it hasn’t all been smooth sailing. With no budget to get students to events and minimal funds to continue development, this game has been mostly fueled as a passion project by students who seek as much funding as they can to make it a success. This passion will help the team as they compete at SXSW Gaming, proving it’s more than just winning “Best Pitch,” according to Jeffery. 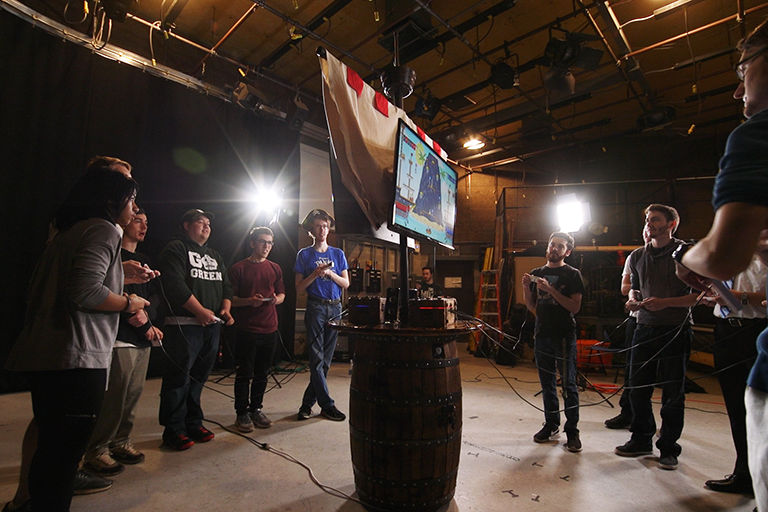 “Beyond making a great game, we want to show how great our game design program is at MSU. We’ve been top ten in the nation for a long time and being at this competition is a big deal,” said Jeffery. Plunder Panic will now set sail to PAX East 2018 Megabooth to showcase alongside 100 games and 88 developers from April 5-8 in Boston. Bringing indie games to the forefront of the gaming community, PAX East 2018 Megabooth helps give these games exposure and creates a network between developers and creative communities. Plunder Panic was produced by Michigan State University's Game Design and Development Program. Learn more about the program at gamedev.msu.edu and view the other games students and faculty have created for both entertainment and learning.